Have you ever considered what it might be like to live in a conscious moment-by-moment communion with God? Letters by a Modern Mystic recounts Frank Laubach's spiritual journey as he began such an experiment, while serving in the 1930s as a lonely missionary on the island of Mindanao in the Philippines. 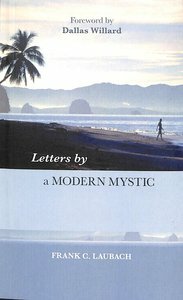 About "Letters By a Modern Mystic"